Star Bright Books, 9781595726759, 1pp. Harriet is a hardworking kangaroo mom. She delivers the mail each day, carrying loads of letters, envelopes and packages in her humongous pouch. After a long week of work, Harriet decides to take some days off to relax and go to the beach with her little Joey. Seeking peace and rest, the good-hearted Harriet embarks on her journey, carrying Joey in her comfy, spacious pouch. 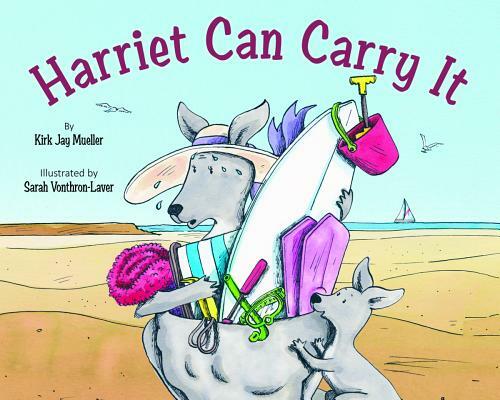 Along the way, she encounters a group of hilarious and quirky marsupials, who also want to go to the beach and ask Harriet to carry their stuff from swim fins to a kayak. Poor good-natured Harriet cannot say no until. . . .